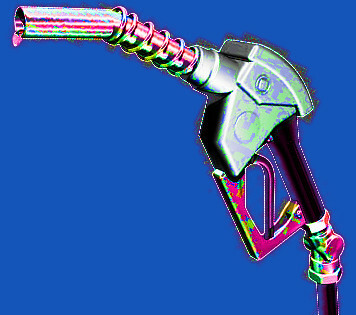 Australia's net petroleum stockholdings have fallen from the International Energy Agency (IEA) obligation of 90 days' worth, to just 50 days - 21 days of petrol for automobiles, 18 days of diesel and 20 days of aviation fuel. Retired air vice-marshal John Blackburn has been lobbying the Government to improve fuel security for several years. He says that in the event of a market collapse, fuel stress or national conflict, a panicked public or an active military could burn its reserves much faster. “Guaranteed flow of oil is what's important, and its stock holding is the spring in the supply chain when it goes on and off,” he told reporters this week. About 75 per cent of Australia's crude oil last year was imported, as was 55 per cent of refined fuel. Just 20 per cent of Australia's crude oil is refined onshore, meaning most is sent offshore for refinement. A Liquid Fuel Security Review that the Prime Minister promised would be released last year is still under wraps, while a National Energy Security Assessment promised each year since 2015 remains delayed. Resources Minister Matt Canavan has suggested drilling for more oil in the Great Australian Bight. “Twenty years ago Australia produced enough petroleum to meet almost all our domestic needs,” Senator Canavan said. “Today that figure has dropped below 50 per cent. “Increasing our domestic production of petroleum is the best way to secure our fuel supplies. “The Great Australian Bight is one of the world's most prospective oil and gas basins. But experts say it is not just about accessing oil, as Australia still lacks the refinery infrastructure to make is usable. “You can drill as much bloody oil as you like, but if we don't ensure that we've got a refinery industry and distribution capability on road, rail and sea to move the stuff around, it doesn't matter,” Mr Blackburn told ABC Adelaide. The Government recently decided to buy three-and-a-half days' worth of fuel tickets from the Netherlands so it can “purchase oil in the event of market problem”.